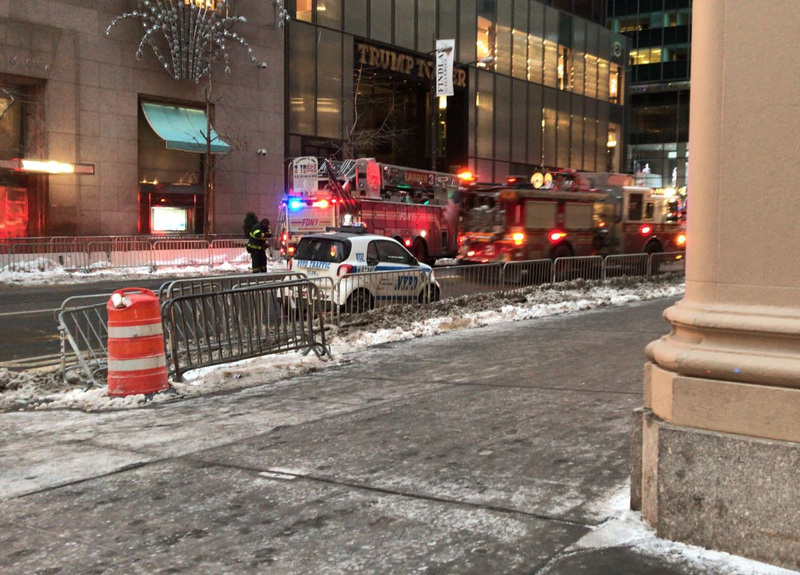 The FDNY responded to a fire on the roof of Trump Tower on Fifth Avenue in Manhattan on Monday morning. Trump Tower is a 58-story skyscraper at 721–725 Fifth Avenue between 56th and 57th streets in midtown Manhattan, New York City. It is the headquarters for The Trump Organization and also where President Donald Trump’s presidential campaign headquarters was located. It is also President Trump’s primary residence. He has a triplex apartment within the building. Initial reports said that no one was injured and the building was not being evacuated. The fire quickly shot to No. 2 trending in the United States on Twitter. Fire crews responded almost immediately when the fire was identified early Monday morning. 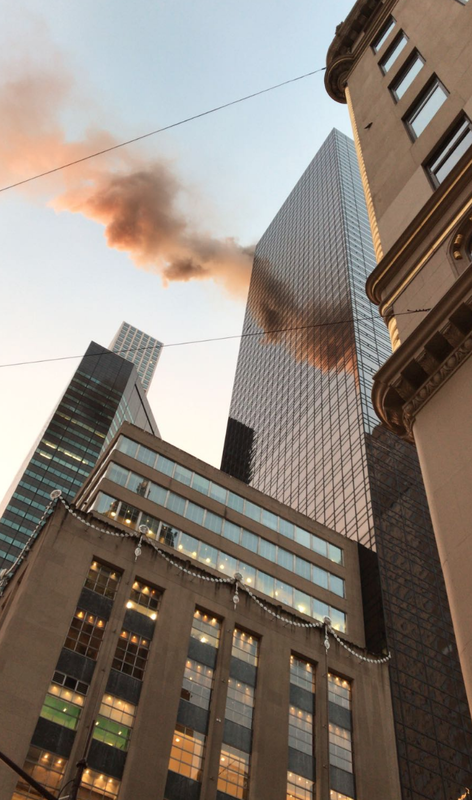 The fire was recognizable by its reflection off the tower. The President was not at Trump Tower when the fire broke out. Reports said that streets around Trump Tower were shut down. Many people responded on Twitter and while the political comments were flying around, one man calls for reasoning. Do people realize that #trumptower is primary occupied by companies whose employees have no association to Trump. My wife sells shoes and works there and some comments are disgusting.